I’ve recently upgraded my Windows 7 installation to Windows 8. Unfortunately Tweetdeck wouldn’t connect to my account anymore and showed the not so useful error “Unable to connect”. 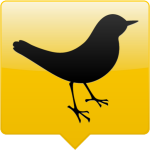 Now Tweetdeck works like it should, and profile images should appear again. Thanks 🙂 Its Working now..